Built by the UK’s Swift Group, the flagship Sterling Elite Explorer’s popularity in New Zealand is obvious and the 2012 model has sold out. Relax, though: the 2013 model is even better, costs only a little more and will be here soon. Sterling caravans are distributed locally by New Plymouth's Merit RV and managing director Nathan Butler has sold 10 of the top-of-the-line Elite Explorers this year. The last one was exhibited – and snapped up – at the recent COVI Supershow in Auckland. Swift, firmly focusing on next year, has ended production of the 2012 model. The 2013 upgrade arrives early next year. That makes my job a little tricky. Isn't it a little pointless reviewing a caravan that's no longer available? Well, no. As it happens, the 2013 model is virtually identical, with only a few minor upgrades. In fact, Nathan hasn't had much trouble persuading punters to invest in the yet unseen upgrade and he sold two at the show. The cost difference is minimal: the show price for the 2012 model was $70,000; the 2013 model will sell for $73,000. 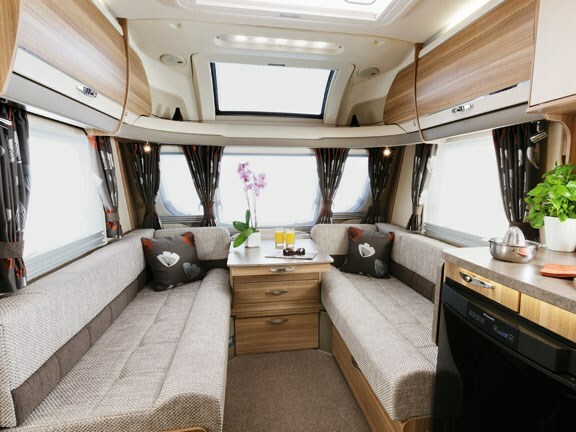 The changes include the addition of a 20-watt solar panel (now standard), a slightly bigger fridge (190 litres), a heated towel rail in the bathroom (an extension of the caravan's standard Alde radiator heating system), an upgraded control panel (a new LCD touch screen) and a speaker in the shower. Scrubbing along to your favourite aria is inevitable. What remains is a splendidly streamlined caravan, with luxurious styling, a clever layout and practical design features. My favourites include the full-width bathroom at the rear – a superbly-appointed area offering a welcome sense of space in what is traditionally a fairly cramped area – and the slide-out island bed in the rear bed. The transverse (east-west) bed is a clever piece of design. Unoccupied, it retracts slightly into the side wall, leaving a convenient corridor for access to the bathroom. With the bed fully deployed, the corridor becomes a little smaller, but you're still able to squeeze past it. Very practical. I also like the caravan's sunroof at the front. It creates a light, airy sense of space around the lounge/dinette, enhancing the views through the large windows. Caravanners who venture out in all seasons will relish the built-in Alde heating system. It comprises a number of water radiators discreetly hidden behind and under the cabinetry. The technology's thermal efficiency is legendary and many prefer it to gas heating systems because it is less prone to promoting condensation. The Alde's performance is complemented by thermal blinds on all the windows and excellent insulation in the walls, roof and floor, all of which contribute to the Elite's Grade 3 insulation (EN 1645) rating. Classical, elegant, stylish – any of these descriptions will do. It is difficult to fault the overall composition. I like the Elite's sense of 'integrated design'; the interior's configuration 'flows' easily, with plenty of soft, curved surfaces. It's easy on the eye – very homely, very welcoming. The designers have done a particularly good job with the LED lighting which is subtle and classy. Sterling introduced a style change this year: a slightly darker shade of veneer for the cabinets compared with the previous lighter palette. This continues for 2013 and for my money, it looks quite a bit richer, a fitting backdrop to the stylish fabrics, carpeting and quality fittings. In the versatile design, the lounge's long settees become single beds, but they can also be converted into a decent-sized double. Other practical features include a dual-fuel hob (gas and electric) and an extra-spacious fridge/freezer to support extended touring. There are two 12" LCD TVs – one in bedroom and one near the caravan door. Curiously, the latter is a free-standing unit rather than fixed to a bracket, so it must be stowed every time you move on to your next destination, and connected when you arrive. Aerial and power sockets are built into the bulkhead. With those twin axles, the nose weight on the drawbar is only around 90kg, so the Elite is a relatively light and easy caravan to tow. It has braking on all four wheels. But one of its most popular features is the ATC (Active Trailer Control) system, designed for enhanced towing stability. ATC uses computer control. 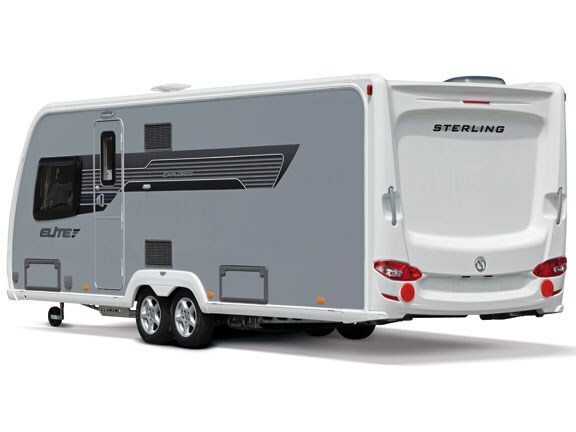 The computer unit is mounted on board the caravan and automatically activates the brakes if it senses excessive 'tailing' or oscillations becoming too severe. Making use of the ATC system requires the installation of a non-standard electrical hook-up fitting to the tow vehicle, replacing the traditional seven-pin unit with a 13-pin version. 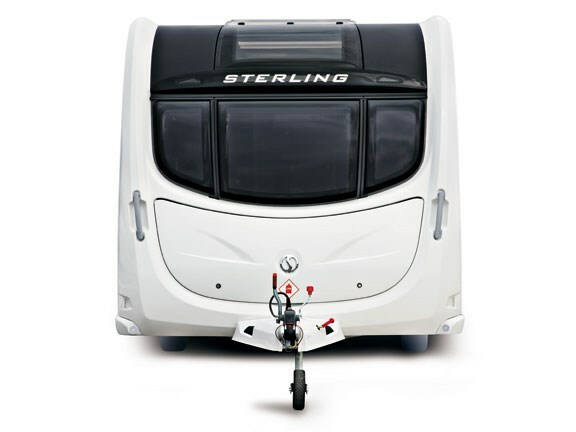 The extra pins also serve other purposes: the caravan's batteries can be charged by the tow vehicle's alternator while driving and the fridge can be left running. Merit RV fits the new connector for around $250. As a UK-manufactured caravan, the Elite Explorer undergoes the standard conversion on its arrival here, with the electrical and gas fittings switched to meet New Zealand standards. But it also gets a beefed-up fresh water/grey water capacity for extended touring. The standard caravan has a GVM of 1624kg. Nathan has the chassis upgraded to boost this to 1900kg, allowing him to install bigger water tanks. The factory installs modest 30-litre fresh water and grey water tanks. Merit RV swaps these for 80/88-litre models, giving owners a bit more freedom and flexibility with itineraries. An optional 120-litre fresh water tank is also available. 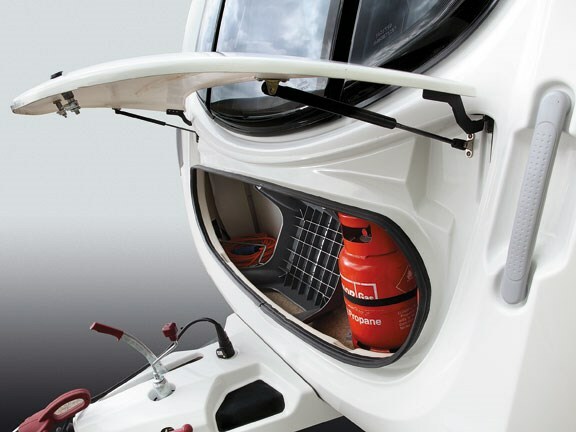 Two gas bottles live in the beautifully-sculpted locker up front (9kg and a 4kg reserve). Overall, you cannot fail to be impressed by the Elite Explorer's aerodynamically-styled exterior and sumptuous interior. It's very distinctive, and carries an air of exclusivity. 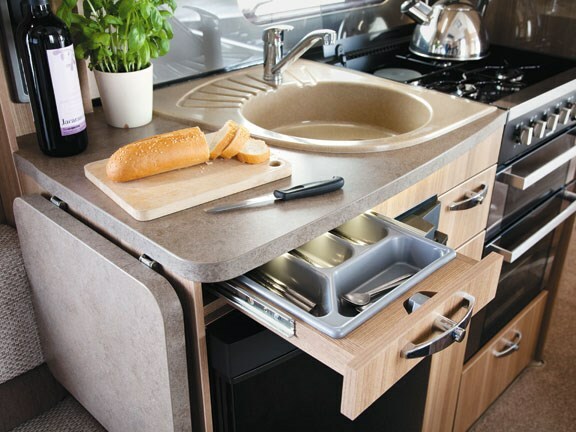 And yet it is also a supremely practical caravan – a comfortable home easily tailored to your standards and lifestyle. For more information contact Nathan Butler at Merit RV, ph 06 769 5540 or 021 179 1164or visit meritrv.co.nz.